Good wine demands a certain appreciation, and a good winery requires good business sense. Scheduling tastings, as well as tracking inventory, shipments, and sales, are all an essential part of promoting a good winery. And of course, keeping your online store in sync with your brick and mortar location is an essential aspect of growing any business. Fortunately, winery POS systems merge all that into one centralized location. With ease of access to a clear scheduling and tracking system, a point of sale system for a winery is a must-have. Picking an efficient system will streamline customer transactions and keep clients happy. Tastings, tours, and reservations will never have been so manageable for your winery. Below we review the top three winery POS systems based on features, support, and pricing. Xudle was the best winery point-of-sale that we reviewed. This has the best automation built in, so it takes the effort out of maintaining shipments, reservations, and club members. It’s also very easy to use and customize so you can spend all your time focusing on doing what you do best. Vin65 wasn’t chosen as our best point-of-sale system, but it still has plenty of features to make it great for any winery. Vin65 is one of the industry’s leading point-of-sale systems. Its modern looking user interface is attractive to customers, and it has also optimized features to maximize customer sales. By being in charge of the content you display on your customer website, you can show your customers the unique feel of your vineyard and winery. Xudle was created by Infinity Arts, a web design and development firm which has provided custom solutions to businesses for over 15 years. 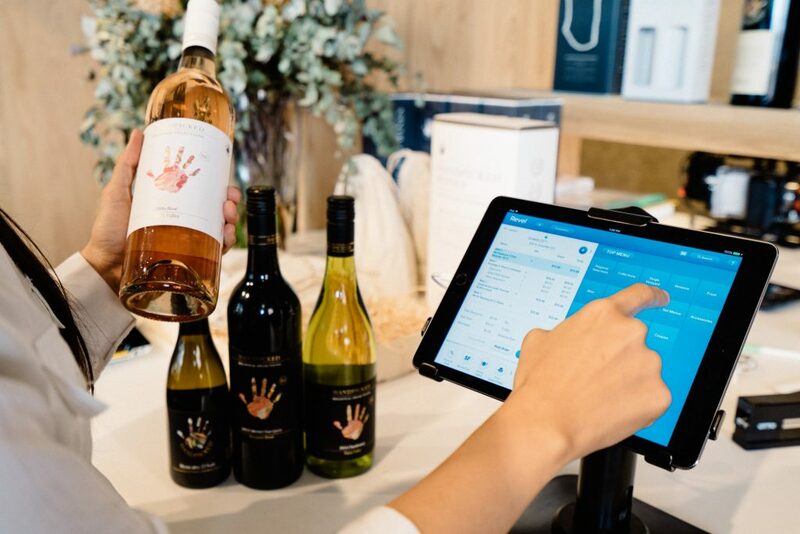 Through their work with wineries, they managed to create Xudle, a POS provider that has wineries in mind, thereby helping to integrate various features needed for this type of business. Since Xudle was designed to be an all-in-one solution, its features list is unbeatable. First and foremost is its point-of-sale system, which is built for efficiency and speed. The interface is simple yet very fast, and the prebuilt functionality provides the tasting-room staff with instant access to customer order history. Also, account information is all in one place, so you have all the necessary information at your fingertips. Xudle is cloud-based software, which allows staff and winery managers to access the system’s unique logins and customizable viewing rights. Everything is automatically updated and accessible, so you never have to worry about information not being up-to-date or accessible, no matter where you are. On top of the solid point-of-sale system, Xudle also has a scaleable cloudware specifically designed for wine clubs, drastically simplifying the daunting task of running a wine club. Whether you are looking for standalone wine club software or a fully synchronized solution, Xudle has all the functionality you need. Xudle also has automatic batch billing and shipment management that allows you to manage your shipments and set up automatic email notifications. The system also allows members to access their personal account data through your website. Customers can login and edit their information, and all their records are updated automatically. One of our favorite features of Xudle is its integration with taking reservations. Whether these reservations are for tastings, tours, or cooking classes Xudle can make it easy to handle all these reservations and sales. The software allows for RSVPs, inventory management, and order processing. It’s also designed to work well on a mobile platform, so customers on-the-go can easily make reservations. Unlike many other systems that offer this integration feature, this reservation service is an included standard feature in the software suite. The Xudle solution is fully integrated and streamlined. Each feature is automatically integrated with the centralized database. From creating reservations, to joining your wine club, or simply buying a bottle of wine from your winery, Xudle makes the process for your customer a seamless one from start to finish. The system takes the pain out of running a winery. The cheapest plan for Xudle is $149/month, which covers a monthly sales volume of up to $10,000. If your winery is larger than that, the plan is scaled accordingly. Because Xudle is a cloud service, there are no licenses required. Anyone can just download the app and login. You or your employees then have access to all the information from any device. This price also includes all of the features with no additional cost, whereas plenty of other point-of-sale systems will charge extra for each additional service. Xudle charge monthly, which means no long-term contracts. With their scalable pricing and inclusion of all features, Xudle is a great solution for any sized winery. Xudle’s customer service is unbeatable. The platform offers 24/7 customer service, but with the added bonus that the customer service team sends all concerns on to the developer team. Often, when there is a concern with an error in the POS, the developer team will redesign that element. There is no perfect point-of-sale system, and Xudle is no exception. One of its biggest pain points is the $1500 installation fee and the $100/hr technical support. If you are a fast-growing winery looking to boost sales as quickly as possible, Vin65 might be the better option, as it has unique tools to help incentivize customers into buying more wine. Xudle’s goal is to seamlessly integrate all the different aspects to running a successful winery. With its automation tools and integration software, we think it accomplished this goal. With the base package including every feature, this system is very reasonably priced for an all-in-one package. Vin65 is another industry leading point-of-sale system for wineries. The software also integrates all of its services into one unified platform. Added customization tools make ecommerce a breeze. The app is designed to focus on the customer experience. Your sales employees will be able to see customer notes, purchase history, lifetime value, and more right from their device. They will also be able to capture any customer information gathered and save it to the central database. Vin65 also allows you to create your own customer website. When you sign up, you will get your own domain. You can even manage your content on the fly without the need to wait for a designer. With Vin65’s tools, you’ll be able to show off all your wines and list any important information along with them. Also, you have the ability to showcase your vineyard by creating a gallery and displaying an events calendar. If you are planning any special events, you can list them all on the calendar you created so that your customers be able to access them easily. If you’re a small winery and not sure if a point of sale system is for you, Vin65 offers a free version where you can set up a website and start showcasing your product. The lowest-tier point-of-sale starts at $159 a month, and that price includes features like e-commerce, point-of-sale, and inventory management. If you’re looking for their complete package, the top-tier service comes in at $549/month and includes all the features. The highest-tier package also have any sales caps, whereas their lower tiers do. The customer service available for Vin65 is simply not as good as other wine POS systems. For example, they only offer customer service for the top two tiers of service. Unfortunately, only the top tier provides you with direct access to an agent. The second-highest tier allows you to contact customer service, but they may not provide an immediate response. This can be incredibly frustrating for business owners. Thankfully, the top tier allows you immediate access to a personal agent at any time. Keep in mind, the agent you contact has a four-hour window to get back to you. This can be frustrating, but this frustration is offset by always dealing with the same agent. 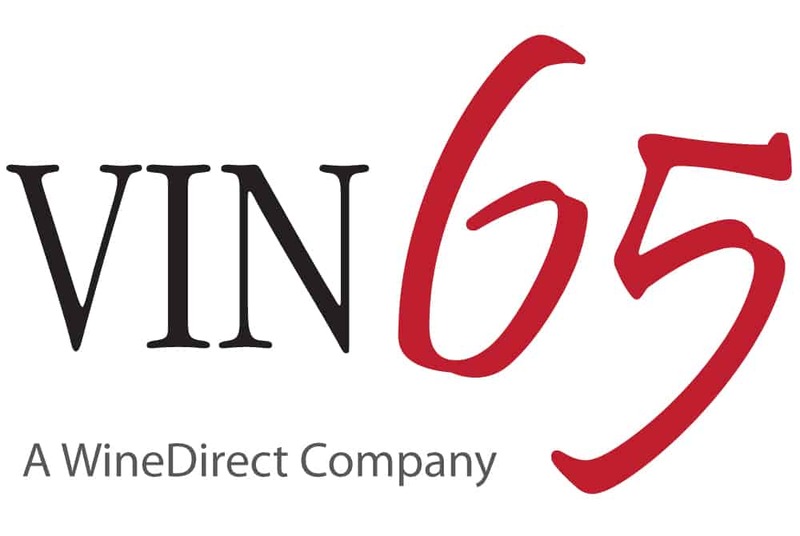 If you run a large winery and can spend the money on the full package, then Vin65 might be the choice for you, as it offers the most streamlined e-commerce system. If you run a small winery with under $10,000/month in sales, you might not be able to afford the highest-tier service. 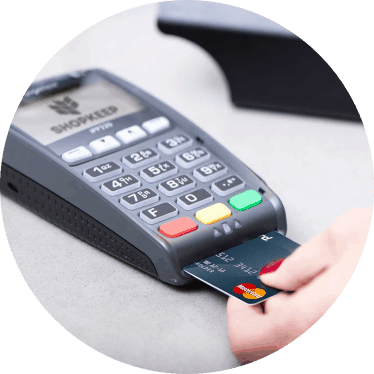 The lower tier product only includes a few of the amazing features you’d expect, so you might opt for a different POS system. 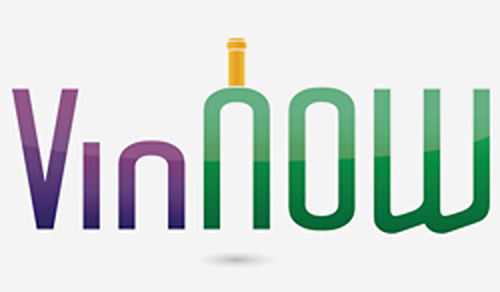 VinNow is a trusted platform for wineries. It was formed in 1993 and has software solely designed to work for wineries. VinNow was one of the first POS system to integrate all the needs of a winery into a centralized system. It offers all the great features a winery point-of-sale system should, making it a great option for any winery. 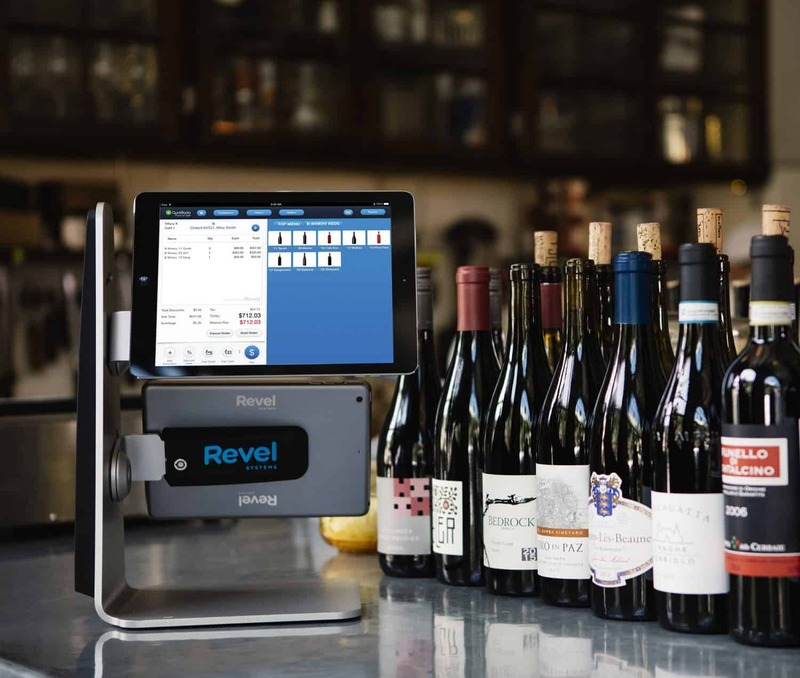 VinNow’s point-of-sale system is designed uniquely for the use in winery tasting rooms, but this feature is also integrated directly with all of the platform’s other applications. The point-of-sale system is also split up into two modes, retail and restaurant, and training an employee to use the system is easy. The retail mode makes the system more streamlined for selling bottles and merchandise. Pre-authorization isn’t required, so credit card fees may be reduced. The restaurant mode allows you to create a customer tab, pre-authorize credit cards, and add gratuity. You can also choose which workstations run in retail mode and which run in restaurant mode. Another great feature of VinNow is its reporting. All files are stored in a central database, allowing the system to report on all data. These reporting features will help you save time by not having to manually gather data or tediously generate reports yourself. You can also schedule reports to be generated. There are numerous types of reports to choose from, and you can create your own and save custom reports for future use. Another feature is the ability to download information to a .CSV file, which allows you to customize and generate reports on your own without the need to find all the data yourself. If you struggle with moving data or with technology, using a .CSV file can make things much easier. VinNow also has a Dynamic Customer Relationship Management (CRM). This feature allows you to store data on customers, such as their email addresses, order history, shipping information, and more. Additionally, the customer search feature allows you to search from multiple different fields and create unique groups. By selectively targeting different groups of customers, you can create targeted marketing campaigns, improving sales. All these different features allow you to improve your marketing strategy. VinNow’s cheapest base plan is $120/month for one workstation. However, this does not include any of the optional modules. Each module costs an extra $45 a month for the base plan, and if your winery grows to more than 601 active club members, the price grows to $200 a month for the base software and $75 per month for each module. The installation fee is $600. A benefit of VinNow’s plan is that it offers free unlimited and ongoing training. It bills on a monthly basis, so you can cancel at any time for no additional fees. For a winery that is looking for just a basic system or that does not have any active club members, VinNow might be the solution. VinNow has decent customer service. This is not 24/7 service, but the platform does offer the ability to contact its IT agents via email or a ticket. However, it’s important to realize that this means the tech department can contact you when they want to, not when you want them to. This can be incredibly frustrating, as it means that you are not always helped immediately. VinNow is a great point-of-sale system that will help any winery meet its needs. Depending on your specific needs, it can be pricier than some other options. All of the features are designed to be specifically used in wineries. These features are quick and easy to use for anyone in the industry. One downside of the system is that it is not cloud-based, which can limit automatic updates and could slow things down trying to keep all information synced across multiple workstations. Wineries are expected to remain creative by putting together special events like wine tastings. Catering to your patrons can come in the form of answering questions, from the exact type of grapes used to how to order a case to go. With the help of a winery POS system, this process can become effortless. Wine clubs are the lifeblood of any successful winery. They bring in fresh new customers who are looking to experience new tastes. Wine clubs also keep patrons around for months or even years. Establishing a wine club is not an easy task unless you have the right tools at your disposal. The aforementioned POS systems makes this process a breeze. All you have to do is input the client’s information, and the software will do the rest. Having a steady stream of new patrons can be a painless process with a POS system, and it is sure to add dividends to your bottom line. Customers and employees knowing what is available on tap, in real time, is imperative for running a successful winery. These winery POS systems are specially designed to help you manage your inventory. You will be able to track the exact amount of wine poured, down to the ounce. You will also have access to every bottle sold. This information will allow you to know what to restock and when. As inventory is a vital feature for winery operations, you’ll want a solution that offers real-time reporting. Communication is vital when it comes to running any winery. Whether the patron is dining in or buying wine by the case, the checkout process should be seamless from beginning to end. Connecting your front and back of house will improve many aspects of your day-to-day operations. 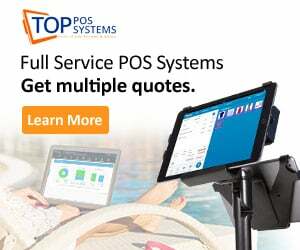 These POS systems integrate a seamless interface, so everything from monitoring your liquid inventory to managing employees is possible within your system. It is relatively common for customers to run tabs while out drinking, so you should have a point-of-sale system in place that can handle this. A great example of one that is more than capable of managing tabs is Xudle. Xudle will allow you to keep up with who is ordering what, in real time. It can even recommend other wines based on a customer’s last purchase. Groups of customers might also wish to split a check. This simple request can be fulfilled instantly with no hassle when using a winery POS system. Having a wide variety of spirits available is essential for any successful winery, and using a POS will enable you to pull up data on any spirit at the touch of a button. Additionally, these systems will be able to tell you and your customers any necessary information, such as the year a wine was created, where it came from, and what kind of grapes it is made from. You will also be able to pull up information on any wine club members. This can include their purchase history and what kind of wine they prefer. Small touches like this will improve your relationship with the customer. Whether you run a small winery or a large-scale operation, you’ll have to pay attention to what your patrons want. 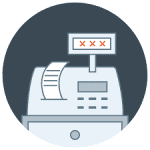 When choosing a POS system, you’ll want to consider features like customer loyalty, inventory management, employee scheduling, event planning, and more. We strongly recommend Xudle for your winery, based on their features and ease of use. In the second place, Vin65 is also a great POS solution, as the goal of their system is to help you maximize sales. Based on your needs, VinNow may also be a worthwhile option.